What five things would you bring with you on a deserted island? The classic question gives castaways a convenience most do not get when they end up stranded somewhere in paradise. Whether abandoned from a ship wreck or forced to walk the plank, most castaways are forced to live by their wits with no extra items. 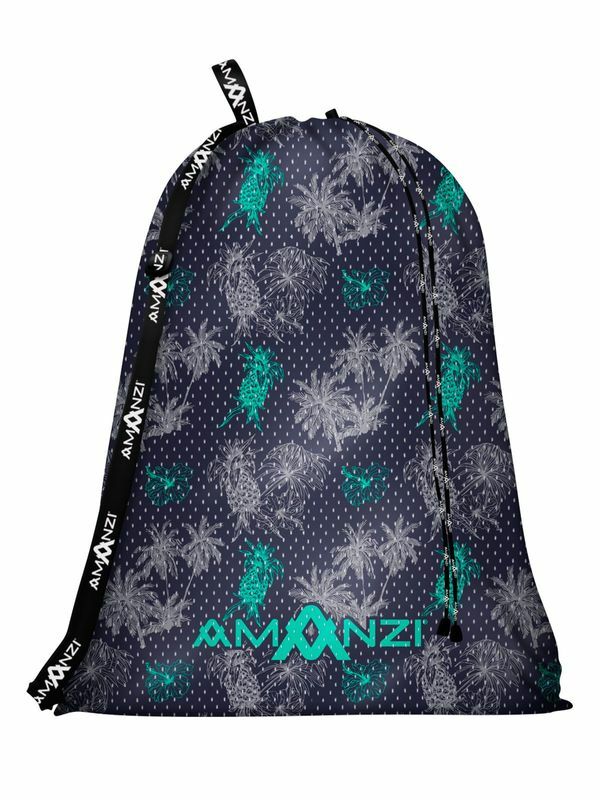 The Castaway mesh bag is inspired by the tropical style living many castaways endure to survive. More pineapples probably than you ever wanted to eat and surrounded by beautiful palm trees, one would think it may not be the worst lifestyle either. At least there isn’t anyone homework or regular work on deserted islands! Also, you could go for a dip whenever you want! Just grab your Castaway mesh gear bag whenever you want to get away from it all and spend some quality training time in the pool.